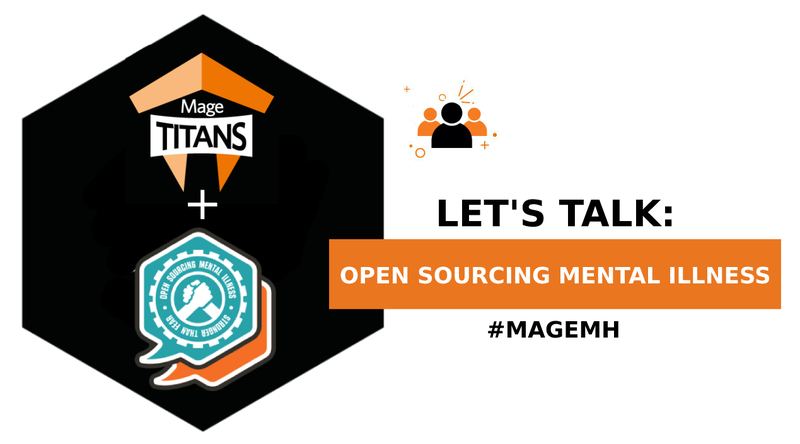 To promote connection, collaboration and communication among the Magento community. To create a fertile ground for exploratory discussions with Magento experts. The first 3 principles, not only covered by our growing line-up but, we’re excited to add, by the Contribution Day that will give you the opportunity to connect, collaborate and communicate with peers and the Magento Community Engineering Team. To encourage self-improvement we have organized also the Security Workshop with Giacomo Mirabassi from MageSpecialist. And last but not least, this year choice to give back is directly to our community through Rebecca Brocton‘s crowdfund for Open Sourcing Mental Illness, a non-profit dedicated to raising awareness, educating, and providing resources to support mental wellness in the tech and open source communities. Including the Magento Community. It is estimated that 1 in 6 people in the past week experienced a common mental health problem and even in a community the size of ours, isolation is not uncommon. 80% of people suffering from mental health issues do not speak up and do not seek help. Give your contribution to those that, you never know, someday you might be part of by donating here.